Has your Grange started working on your resolutions for this upcoming session? Resolutions are one way that the Grange can communicate its concerns for local, state and national issues. One resolution that was passed during our last State Grange session addressed the definition of milk. While visiting with my Representative, Joe Courtney of the second district, I found that there has already been a bill submitted defining the definition of milk. HR 778 - Dairy Pride Act ‘to prohibit the sale of any food that uses the market name of a dairy product, is not the milk of a hooved animal, is not derived from such milk, and does not contain such milk as a primary ingredient.’ This bill has been introduced in the house but has not moved forward. We need to nudge it a bit. There is a similar one in the Senate, S 130, but it is still in committee. I am reprinting most of an article from June of last year which gives details on writing a resolution. I encourage you all to submit your resolutions soon as possible. Remember that all resolutions that you plan on sending to State Grange need to be sent from your local Granges to your Pomona Grange for action before being sent on to State Grange. The deadline for submitting resolutions to State Grange is September 15th. Some of the new Pomona Granges are only meeting four times a year which means that your resolution will need to be submitted before their September meeting. This process of submitting them to the Pomona Granges allows resolutions to be considered by a larger audience and to educate others on the intent of your resolution. Your resolutions do not need to be only of a state or national issue. Resolutions concerning local issues may be presented by your local Granges to your local officials. You could also show your support of other organizations, projects, and special recognitions by using resolutions. Resolutions need to be written in specific way. You first should have a title. The next section is the WHEREAS sections. This is where you list concerns and details educating the readers about the topic you are writing about. The next section is the THEREFORE BE IT RESOLVED sections. This is where you state what actions you wish to happen. This section should be able to stand alone when the WHEREAS sections are removed. It needs to state the topic of concern and the recommended actions. If it is a national issue and you wish it to go to National Grange state that in one of the resolved sections. If you need any help with your resolutions you can contact any member of the Legislative Committee. 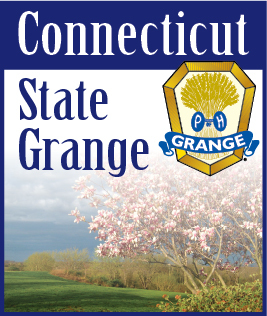 There is also information on how to write a resolution on the Grange Website, ctstategrange.org. Look under Grange Information – State Grange Information – How to Write a Resolution.